Hydraulic suspensions shocker with step adjustment knob. - Smooth Twisting Design for safety operation. - 5 function meter: count, time, calories, strides/min, scan. In order to meet the precise requirements of our clients, we are indulged in providing a flawless quality range of Mini Stepper to our clients. This Mini Stepper can be used to perform cardiovascular exercises in homes and gyms. To attain maximum client satisfaction, we offer these products at most affordable rates. - Assembly : 440 x 410 x 250 mm. 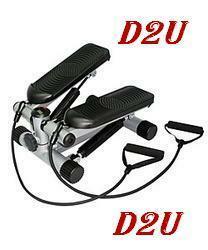 - Toning tubes for hand exercise. 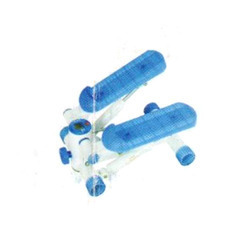 We are engaged in manufacturing and trading a wide range of products like mini stepper.